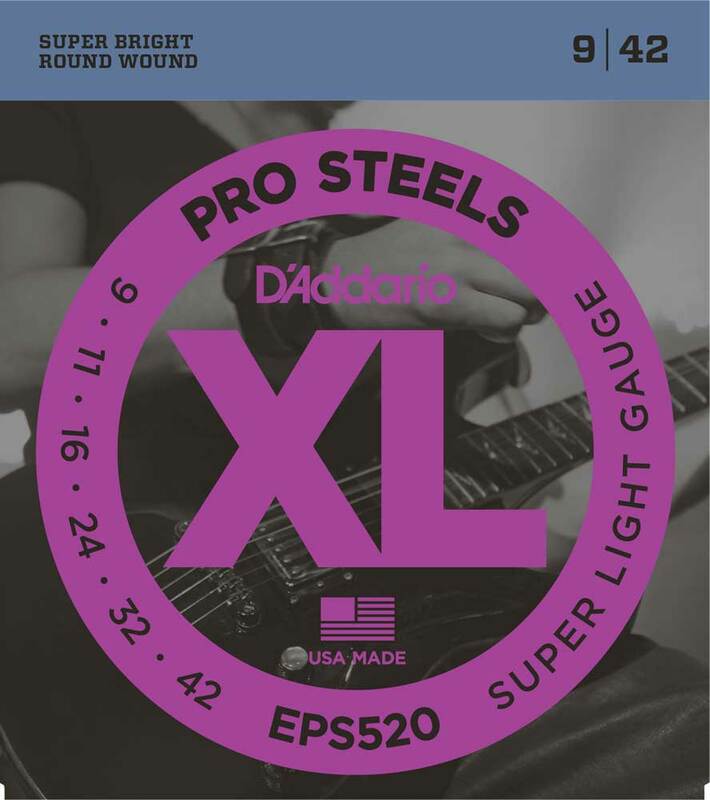 D'Addario XLProSteels for Electric Guitars utilize a highly magnetic, corrosion-resistant steel alloy that delivers super-bright tone without shrill overtones. They offer a palette of harmonically rich, brilliantly penetrating highs combined with pronounced, tight-and-tough lows. If you need a little more crunch, bite, and sustain, ProSteels are the string for you! Copyright © 2004-2019 by mouseworx - 0.044 Sec.